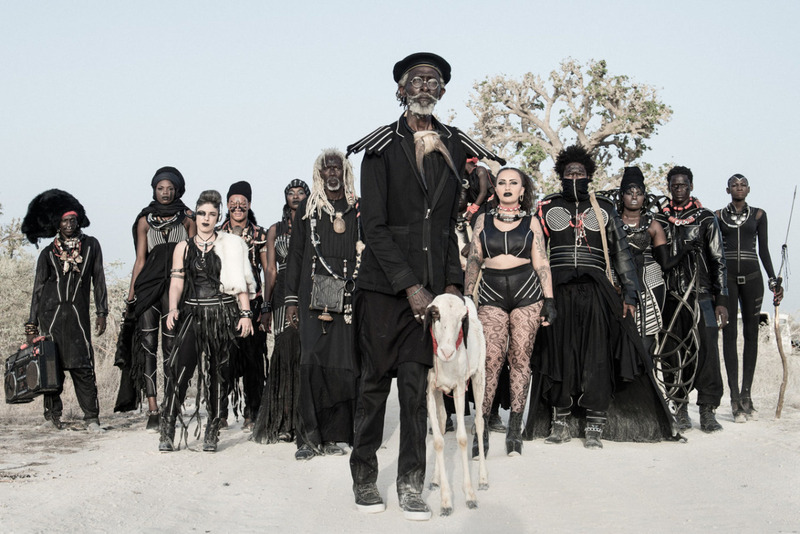 A photo from Fabrice Monteiro from his collection The Prophesy. Shot in Senegal. There are certain depictions of African life we in the West are all too accustomed to seeing: Images of poverty, violence and corruption conjure a one-note vision of an abject space that fails to capture the complexity bubbling beneath the surface. 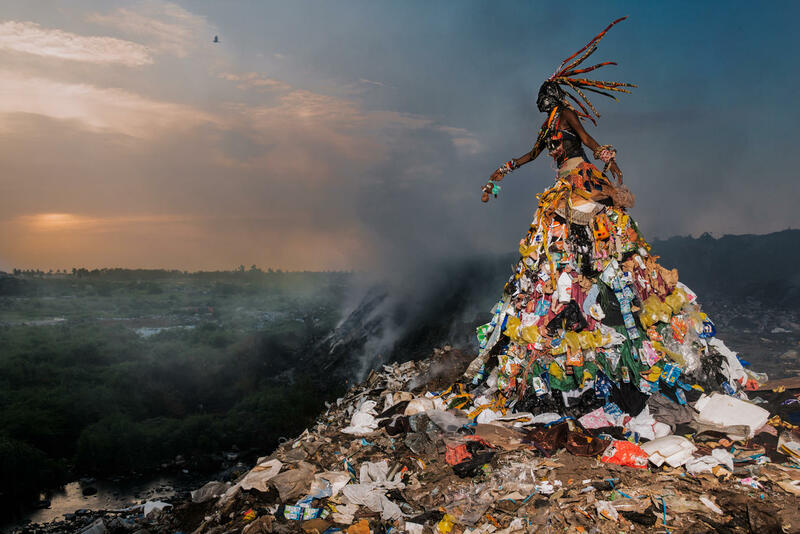 Photographer Fabrice Monteiro, however, captures up a very different vision of Africa, one in which beauty, debris, danger and hope are closely interwoven. 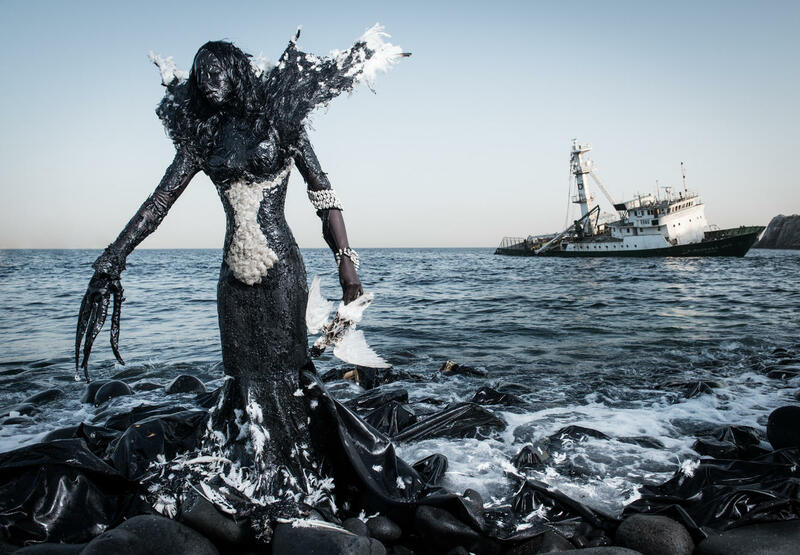 His Afrofuturist images predict a post-Apocalyptic future, where garbage and rubble are transformed into intricate, brilliant garments, serving as warning to future generations. A photo by Fabrice Monteiro from his collection, The Prophesy. Shot in Senegal. Monteiro grew up in Benin, located in West Africa, in the 1980s. 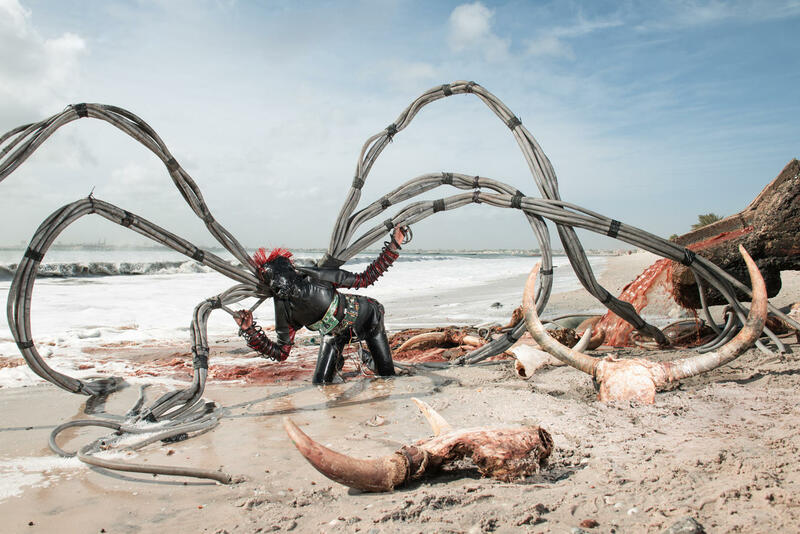 “When I got back to the continent four years ago, it was a shock for me to see how much polluted West Africa became over the course of 30 years,” the artist told The Huffington Post. 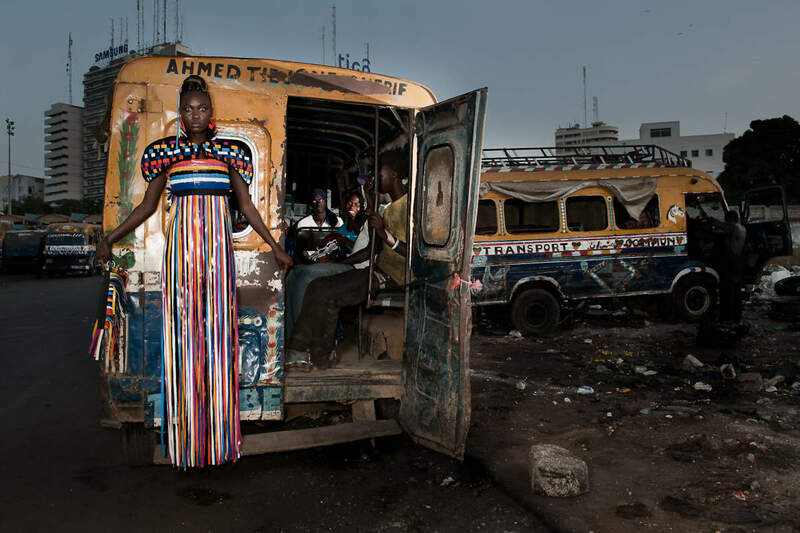 Fabrice Monteiro is an emerging artist based in the fields of photojournalism, fashion photography, and portraiture. 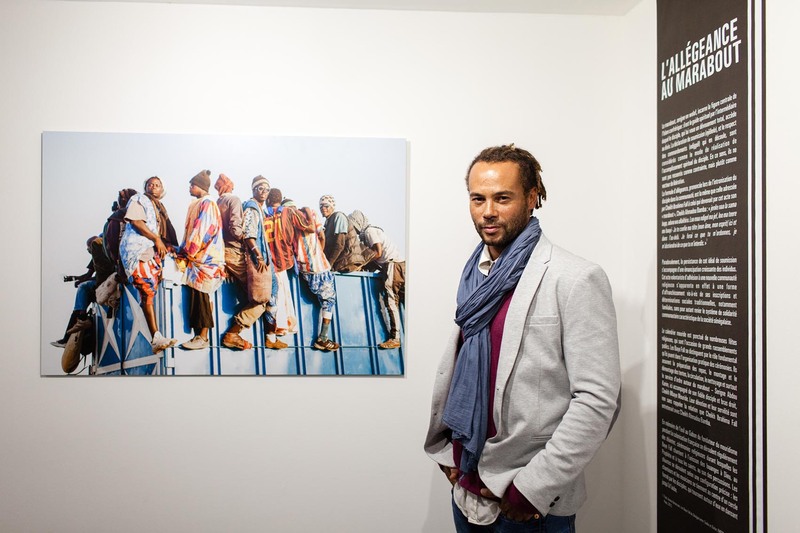 Born to a Beninese father and a Belgian mother, his childhood is nurtured with multi-cultural. His unique signature style revolves around his passion and love for the heart and the people of his country. Monteiro was not predicted to become a photographer. Photography came naturally to him, first as a professional model, he became aware of the complexity of the composition, the lighting and the posture. Traveling the world inspired him to develop more creative projects, Monteiro was not destined to become a photographer, photography came to him.